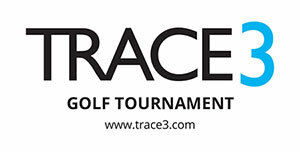 The Trace3 Golf Tournament was held at ASU Karsten Golf Course located at 1125 E. Rio Salado Pkwy in Tempe, AZ. This tournament was generously supported by their business partners: Juniper, EMC, NetApp, Symantec, F5, Riverbed, Simplicity, Hitachi, Avnet, and Aruba. And a special thanks to Bank of America for matching each sponsorship donation. This was the 8th annual Trace3 Golf Tournament which coincidentally happened to be held on May 8th, 2015. Nearly 100 golfers and volunteers descended on the course early Friday morning with excitement and anticipation all to benefit the Susan G. Komen charity. Thank you to everyone that helped Trace3 raise money for a very deserving charity and we look forward to next year’s event!